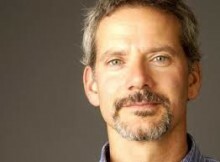 As an actor, director and producer, Campbell Scott – who first made an impact on moviegoers with his touching portrayal of a man living with cancer in the Julia Roberts showcase, “Dying Young” (1991) – was inarguably a dignitary of American independent film. The stage-trained Broadway actor never strayed far from the world of small, personal films, where he impressed critics and festival-goers with the difficult acting challenges he took on in the AIDS chronicle “Longtime Companion” (1989), the literary gem “Mrs. Parker and the Vicious Circle” (1994), and the jaded New Yorker story “Roger Dodger” (2002). Scott also earned a solid reputation as a director, first sharing duties with Stanley Tucci in the appetizing indie favorite “Big Night” (1996) before taking the helm of his own television adaptation of “Hamlet” (Hallmark Channel, 2000) and dramatic features “Final” (2001) and “Off the Map” (2005). With his soulful performances as polished but emotionally clueless professionals and brilliantly nuanced oddballs, Scott well deserved his reputation as a champion of independent film and one of its strongest talents. Scott was born July 19, 1961 and raised in upstate New York. His parents were actors George C. Scott and Colleen Dewhurst who, despite their film success, were first and foremost stage actors. With this kind of atmosphere as a childhood backdrop, Scott and his brother grew up ensconced in the very un-Hollywood world of New York Theater. He graduated from John Jay High School in Cross River, NY, before heading to Lawrence University in Appleton, WI, with his sights set on becoming a teacher. However, Scott became involved in theater classes and decided soon after to pursue an acting career. After graduating in 1983 with a degree in Theater & Performing Arts he returned to New York where he further studied drama with Stella Adler and Geraldine Page. Scott debuted on Broadway alongside his mother as a soldier in “The Queen and the Rebels,” then had a pair of performances in Tom Stoppard’s “The Real Thing” in 1984 and in a revival of Noel Coward’s “Hay Fever” the following year. After landing the large supporting role of Richard Rich in an off-Broadway revival of Robert Bolt’s “A Man for All Seasons” (1986), he snagged his first leading part in an off-Broadway production of “Copperhead” (1987). That same year, he made his film debut with a small role in “Five Corners” (1987). On the small screen, Scott portrayed the tragically short-lived eldest Kennedy son, Joe Jr., in the ABC miniseries “The Kennedys of Massachusetts” (1990) and played an impassioned, dying Confederate captain in the Civil War drama “The Perfect Tribute” (ABC, 1991). He made a rare foray into mainstream film playing a terminally ill young man in the romance “Dying Young” (1991). Not even co-star Julia Roberts could propel the sentimental film to commercial success and Scott retreated to theater and a prolific output in independent film, giving an understated, realistic performance as an earnest young professional in Cameron Crowe’s hip, Seattle-set comedy “Singles” (1992). He next gave an Independent Spirit Award-nominated performance as writer and wit Robert Benchley in Alan Rudolph’s underrated “Mrs. Parker and the Vicious Circle” (1994), where he particularly wowed with his recreation of Benchley’s famous “Treasurer’s Report” monologue. Scott further displayed his stage-trained versatility essaying a British technician who gets involved with a mysterious woman (Isabella Rossellini) in Cold War Berlin in “The Innocent” (1995). Dismayed at finding himself typecast in features as young, sensitive types, Scott took a cue from his father’s career and moved behind the camera to share directing duty with high school pal and fellow thespian Stanley Tucci on the acclaimed “Big Night” (1996). The chamber piece about immigrant brothers with differing views and attitudes towards life in 1950s America was a visual feast that offered Scott an astringent cameo as a slick car salesman. One of the year’s favorite independent films, “Big Night” earned Scott and Tucci a Best First Feature nomination from the Independent Spirit Awards, Grand Jury Prize nominations at the Sundance and Deauville Film Festivals, and a Best New Director win from the New York Society of Film Critics. Scott next served as executive producer on Greg Motolla’s “The Daytrippers” (1997), which featured Tucci and a brief appearance from Scott himself. After a significant break from his last leading role, Scott played an ordinary man who finds himself an unwitting party to extraordinary, potentially lethal circumstances in David Mamet’s sleight-of-hand thriller “The Spanish Prisoner” (1998). Given Mamet’s theater background, Scott was quite at home in the verbally-driven terrain of the film and completely sympathetic as the befuddled, naive victim of a host of sharpies led by Steve Martin. He also turned up that year in Tucci’s solo directing effort, “The Impostors” (1998) in a hilarious role as the Nazi-like staff overlord of a luxury ship harboring a pair of out-of-work actor stowaways. Scott rejoined Jennifer Jason Leigh, his co-star (as Dorothy Parker) in “Mrs. Parker and the Vicious Circle,” and delivered a compelling, credible performance as a 20th-century computer game designer who falls in love with a 19th-century poet in the time-traveling romance “The Love Letter” (CBS, 1998). In another solid television outing, he joined Ben Kingsley and Joanna Lumley in John Schlesinger’s “The Tale of Sweeney Todd” (Showtime, 1998), playing the American insurance investigator seeking the truth about the demon barber of Fleet Street and his unsavory business partner. Scott continued to hit the jackpot in some wonderfully quirky, independent features including Canadian director John Paisz’s sci-fi parody “Top of the Food Chain” (1999). In that film, Scott again showcased his ability for laugh-out-loud characterizations by playing an uptight, bearded and bespectacled atomic scientist who just might be eating the local citizenry. At the 2000 Sundance Film Festival, Scott was featured in three films, doing his best with the unsympathetic role of pro-golfer and ex-con Lionel ‘Ex’ Exley in Caroline Champetier’s visually vivid but underdeveloped “Lush,” and delivering a nifty supporting turn as a condescending philanthropist who earns the contempt of stars Ned Beatty and Liev Schreiber in “Spring Forward.” Perhaps his most outrageous performance came as the menacing, wildly unpredictable friend of a straight-laced yuppie (David Aaron Brown) in Dan McCormack’s “Other Voices” (2000). Scott adapted, helmed and starred in a Hallmark television version of “Hamlet” (2000) and made his solo directing debut with the little seen sci-fi drama “Final” (2001), which featured a notably dramatic lead performance from Denis Leary. In 2001, Scott won critical accolades for his impressive, bravura turn as the lead in “Roger Dodger” (2002), in which he played a slick, fast-talking, urbane Manhattanite who takes his 16-year-old nephew on the town in hopes of leading him into a world of sexual discovery, only to demonstrate how wholly clueless, insensitive and misanthropic he really is. The film was a major hit at the Sundance Film Festival and Scott earned a nomination from the Independent Spirit Awards and a Best Actor award from the National Board of Review. Scott scored again on the festival circuit in “The Secret Lives of Dentists” (2003), a family drama from Alan Rudolph starring Scott and Hope Davis as married dentists whose personal issues come to a head during a homebound, family-wide bout of the flu. After serving as producer of that film, he stepped behind the camera to direct his third feature. “Off the Map” (2005) was a well-reviewed drama about an eccentric family (Joan Allen, Sam Elliott and Valentina DeAngelis) living on the fringe of society in the New Mexico desert whose lives are altered by an IRS agent (Jim True-Frost). Scott next played a Catholic priest with a rebel streak in the coming-of-age drama, “Saint Ralph” (2005), and in a rare family-friendly offering, starred in the adventure, “Duma” (2005), a warm, if hokey tale about a young boy (Alex Michaeletos) and his cheetah friend. Scott had an opportunity to send up the Hollywood machine he had been so leery of during his career with his starring role in Craig Lucas’ satirical “The Dying Gaul” (2005), which he also produced. He went on to give a strong performance as a prosecutor attempting to convict a priest (Tom Wilkenson) of wrongful death after a failed exorcism in “The Exorcism of Emily Rose” (2005). Scott proved an excellent casting choice to portray author Ambrose Bierce in the Civil War Drama “Ambrose Bierce: Civil War Stories” (2006), and also gave a bravura turn in his first primetime series role in “Six Degrees” (ABC, 2006-07), where he played a photographer trying to rebuild his family and career after succumbing to substance abuse. The drama unfortunately could not secure a regular audience and was cancelled, though it plopped Scott back in the mainstream eye long enough for him to be cast in a supporting role as a college professor in the popular romantic comedy “Music and Lyrics” (2007), starring Drew Barrymore and Hugh Grant. He returned to art houses in “Phoebe in Wonderland” (2009), playing the clueless school principal of a gifted student (Elle Fanning) in the well-reviewed film, before appearing in the character drama, “Handsome Harry” (2009). Do you want to hire Campbell Scott? Directly request a quote. In 48 hours we can send you the availability of Campbell Scott If you would like to book Campbell Scott, Entertainment Booking Agency is the right place. We will offer you the best price and contact the management or we directly contact Campbell Scott. For corporate appearances or speaking engagements you can contact our agents and the will help you true the process. Tags: hire Campbell Scott, Campbell Scott booking, book Campbell Scott, Campbell Scott appearances, find more information on booking Campbell Scott for appearances, Campbell Scott speaking engagements, Campbell Scott endorsements/spokesperson, Campbell Scott appearance fees, Campbell Scott booking agency contact info, biography of Campbell Scott, Contact an artist booking talent agent find a speakers bureau that can book Campbell Scott, speaker booking agency for Campbell Scott, Campbell Scott booking agency, Campbell Scott booking for corporate event. EBA is one of the biggest entertainment booking agencies in the World. We book hundreds of celebrities, artist, athletes and speakers in a year. Important to know is that we are not claiming to be the management of Campbell Scott. We are not the official agent for Campbell Scott. Companies from around the globe book these artists and speakers true our company be course we have one of the biggest networks and we always have direct contact with the artist or the management. We help you to find the right celebrities for your corporate of private events. Please contact one of our agents to get free advice and we will help to get the world-famous artist on your party.